The Honda CR-V has historically been a versatile, powerful small SUV that defied expectations from the very beginning. The SUV class of vehicles has always been regarded as large and inefficient while guzzling a great amount of gas. The CR-V is the opposite, as it offers a large amount of space and a surprising amount of power. The CR-V remains efficient while using a relatively small amount of gas. The Honda CR-V leads its class while remaining smaller and sportier than its counterparts. The new 2018 Honda CR-V has a wide range of features, large amounts of space, and optional turbo power. The CR-V is available in four trim levels which include the LX, EX, EX-L, and Touring. It also packs a host of high-tech equipment. The 2018 CR-V is unchanged from 2017, but is still impressive since the 2017 model saw a complete redesign and reengineering. The CR-V has more style, more technology, and more space. Some advancements include adaptive cruise control, automatic high-beams, driver-attention monitor, and more. Inside, a soft-touch dashboard and stitched seats add more luxury. The infotainment system saw the addition of a volume knob, available ApplePlay and Android Auto, as well as optional dual rear-seat USB ports. The interior is more upscale, giving it a more organized and luxurious feel. The 2016 CR-V started out strong and has always maintained the excellence it began with. The original CR-V rolled off Honda’s production line in 1997, and even today’s CR-V retains similar design language and engineering concepts. The CR-V was first envisioned as a small form factor SUV with better gas mileage than the gas-guzzling SUVs at the time. SUVs improved their technology, and so did the CR-V. Over the course of four generations, the CR-V grew slightly in size but never lost sight of its goal of being a small, versatile vehicle that is efficient and powerful. 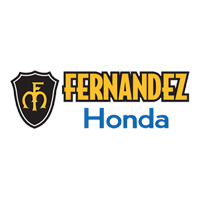 Fernandez Honda is proud to offer San Antonio and Austin, TX drivers a great selection of Honda vehicles. If you’re looking at the CR-V, our friendly staff would love to answer any questions you may have about the vehicle and let you go for a test drive around San Antonio! We are committed to helping you find the perfect vehicle to fit your needs, and your budget. We encourage you to visit us today, as we’re only a short drive from Houston and San Marcos. Let us provide you with an exceptional, no-pressure car buying experience today!